Getting a tattoo is a big decision, so when you’re deciding on a first one or adding to your collection, you want it done by the best of the best! Finding the right place and the right artist is important, so we’re here to help you out. Here are the 10 best tattoo parlors in New Mexico! Getting the tattoo you want is about finding a good artist who can capture your vision. There are four top-notch artists here who can do just that. Whether you want black and grey or full color, old school or new motifs, there are plenty of tattoo designs to choose from. Custom designs an option also. 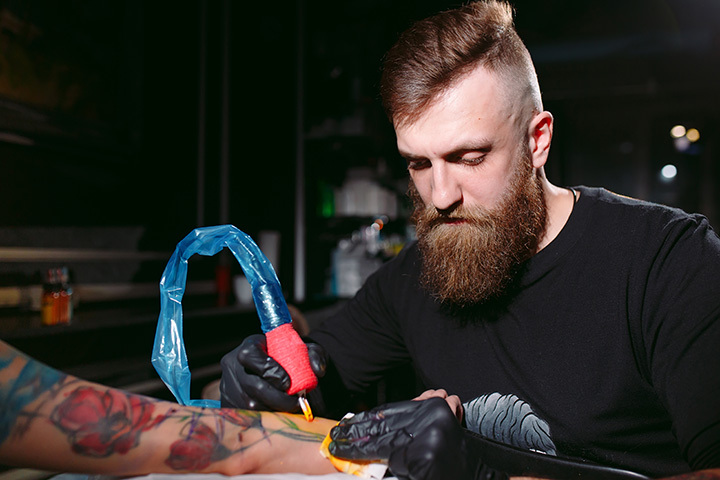 Whether you’re looking to get a new tattoo or spruce up an existing one, the artists on hand here will set your mind at ease and walk you through the process. Come in with your own design or choose one that’s pre-made. Safety is key and everything is clean and sterile. Piercings and jewelry available. Walking into a tattoo parlor that’s got a relaxed, friendly vibe is a great beginning. Factor in a team of amazing artists, fair prices and a clean environment and you’ve got a good design for success—both for the shop and the customer. No piercings, supplies, phone quotes—just a focus on exceptional ink designs. Open afternoons and evening, four days a week. State certified body artists provide the backbone for excellence at this state licensed parlor. Custom tattoos are the specialty—the promise that no design will be reproduced. High quality inks and tools are used for all permanent body art. Their comprehensive after-care program aids in the healing process. Don’t like a tattoo? They’ll either redesign it or remove it safely. Free touch-ups available. Want to capture a memory forever as body art? Create a design and bring it here and see it take form. The owner of this shop, who’s been in business for more than 10 years, runs a clean and sterile operation. A large selection of tattoo flash, plus body jewelry as well as expertise in body piercings and custom artwork. The owner is certified by the American Institute of Intradermal Cosmetics. He’s not only a licensed tattoo artist extraordinaire but also a licensed make-up technician for permanent cosmetics. He’ll bring your vision to life as a lasting tribute to any milestone worth commemorating. Clean, safe and reliable. Deposit required to begin. This is the oldest tattoo parlor in Taos—it’s been named “Best of Taos” three times. As a fully licensed shop, artists provide the highest level of standards and services to cus-tomers. Body artistry techniques range from blackwork to dotwork to geometric to il-lustrative with inks in color, black and white and grey tones. Open seven days a week. Walk-ins welcome. Body piercing and body jewelry available. If you want a tattoo but don’t want it to make a loud, graphic statement than choose an elegant fine line one and go here to get it. This type of tattoo is a little less painful, too, since the technique, creating black and grey lines, doesn’t penetrate as deeply as a color design. Body piercing available with numbing and aftercare. Open Tuesday through Saturday. Military discounts. This shop holds all the aces—four outstanding artists all under one roof. Each brings a unique style and artistic vision. Customs designs are a forté, but there’s also a host of pre-drawn designs to choose from. Considered one of the City’s friendliest shops by those tattooed-in-the-know clients, it’s also a place where the smell of antiseptic is a welcoming aroma. This is a tattoo shop and art gallery, all under one roof, that showcases the artistry of its owner, Guido Baldini. His award-winning body art designs are intricate, complex, whimsical, colorful and ornate. He uses many things as a canvas t-shirts, hats, paper—but the human body is a favorite. Open five days-a-week. Appointments recommended, but walk-ins can be accommodated.